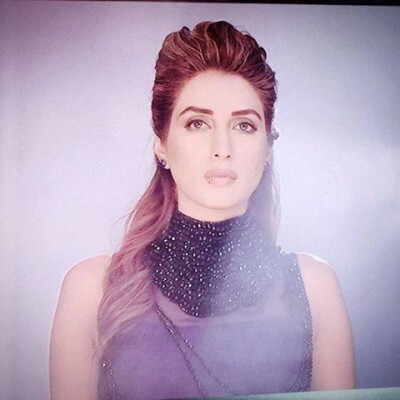 Iman Ali is the leading and popular fashion model and actress of Pakistan and she has done the wonderful performance in the showbiz field. Farhan Saeed is the also the leading and popular Pakistani singer and both of them are appearing in the music video of the songs of Farhan Saeed, ‘Koi Rokay Na Mujhe’. Both of them will appear in this music video and they will get the attention of the public. There are some pictures of both the personalities, which are made during the music video of the song.